Which cereal has a mascot named of Horatio Q. Crunch? We've seen this cereal mentioned in lists on the internet. 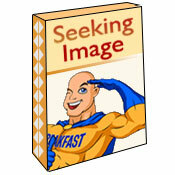 A site we like called Topher's Breakfast Cereal Character Guide shows a graphic of a Superman Stars Cereal Box, but it's obviously a mock-up or a recreation. 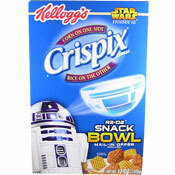 If this cereal really existed, it likely never went beyond test marketing or we'd have encountered an image of the box. If you have an image or any information, please post a comment below. Superman Stars... it sounds like a no-brainer... like it should have existed... we're hoping we can find some evidence that it did. What do you think of Superman Stars? I'm fairly certain it did make it to the supermarket shelves even if only for a short time. I own an original cartoon animation cell/paper art piece that was used for the commercial for this cereal. In the middle is the animation cel containing the Post cereal box of Superman Stars cereal, the box sits on a table with a boy and girl about to eat their full bowls of the stuff The boy and girl are actually hand made paper art designed to be manipulated like claymation to create a stop animation effect of movement. This piece is going up for sale starting 12/28/13 evening on ebay if you are interested in seeing the actual image.